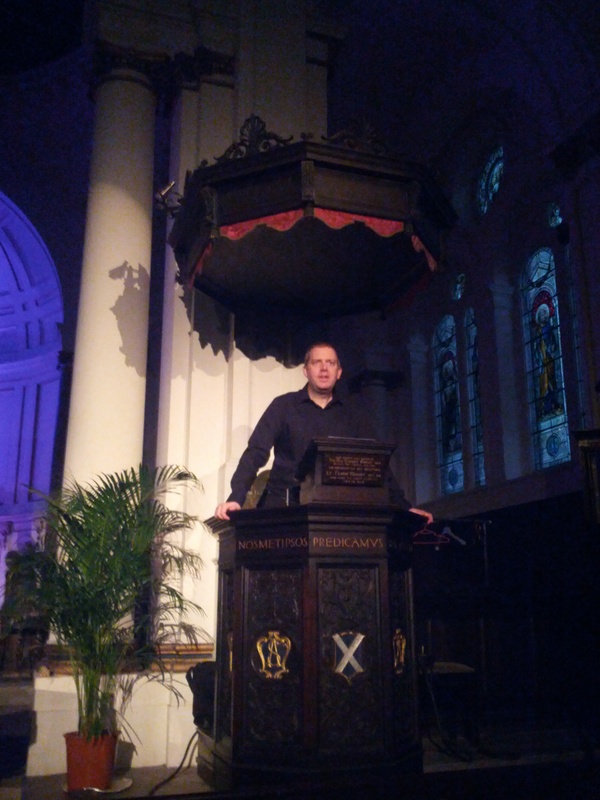 Last Friday I spoke as part of the Two Knocks performance at St Andrew’s Church in Hove. I’d been involved in some early discussion and it sounded so ambitious that, when I was invited to participate I had to say yes. I gave a talk about ‘The Folklore of Death and Water’. It was a deliberately bland title, playing with some of my obsessions while feeding into other aspects of the event. I was a little nervous as the night approached, particularly as the audience hit 100, but I was fairly happy with my performance. 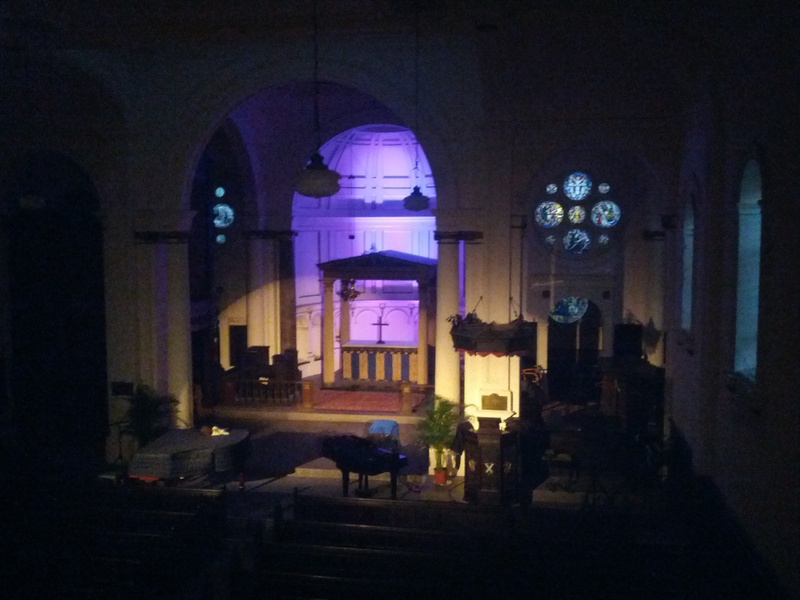 The venue was probably the most atmospheric place I’ve ever performed. It was incredible speaking from the pulpit, the audience dimly lit in front of me. The building was sufficiently spooky to freak me out completely during rehearsals. I was talking while Curtis listened, Emily ran tech and Simon checked his kit. We had the doors locked so that we weren’t disturbed. From where I was I could see through the doorway into the church’s entrance corridor. As I described a haunting, I saw a shape move past the doorway. The rehearsal fell apart as I started laughing nervously. I’m not the sort of person who imagines seeing things. As I said in the talk, I don’t believe in ghosts, but I do believe in hauntings. Even during daytime rehearsals, the effect of the performance and venue was spooky. I hope there are more of these in the future. Future events will be announced via the Two Knocks mailing list and the soundtrack is online.